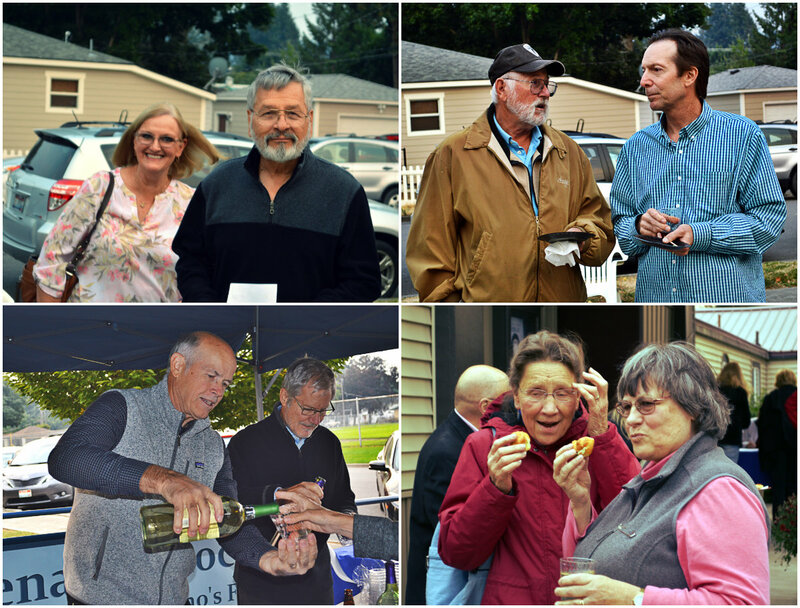 The Kootenai County Democrats hosted another successful Theater Night event. Bev Moss and her incredible team put together an evening of food, beverages, theater and great conversation. 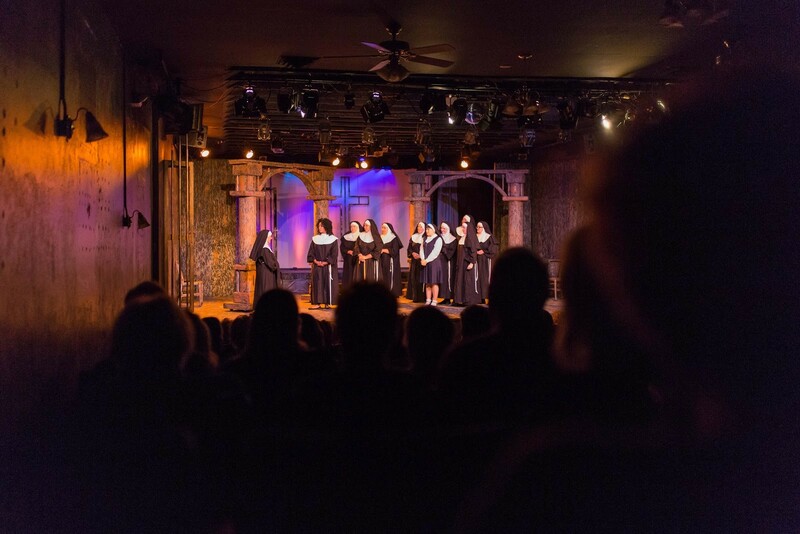 Lake City Playhouse partnered with the Democrats for the opening night of Sister Act. 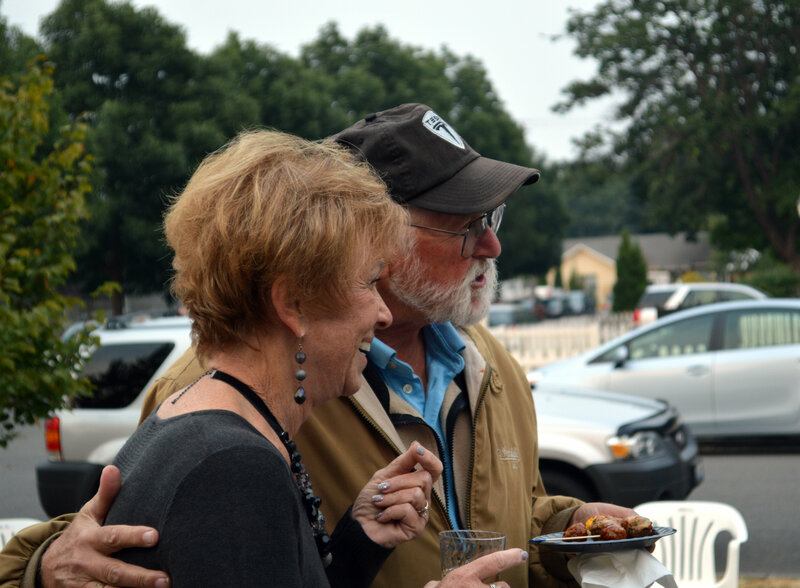 The sold-out crowd enjoyed an amazing selection of delectable appetizers like Meatballs in Huckleberry Sauce and Chicken Salad Sliders, created by Kris McIlvenna of Greenbriar Catering and Lodging. 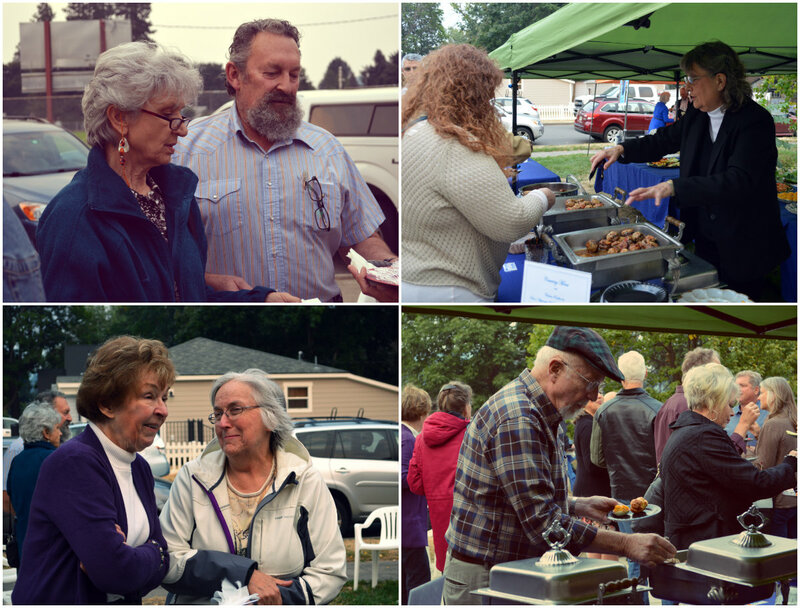 People mingled and enjoyed the flavors. The careful planning by the Theater Night Committee ensured few leftovers but ample servings to the crowd of appreciative Democrats. While walking around, I was able to connect with a handful of different attendees. Some were there because they love the theater, others because they anticipate and attend every year. One event sponsor was there to enjoy the company, food, and theater in hopes that this opportunity for camaraderie encouraged candidates. Cory Alexander, a recently registered Democrat and new to political action, also helped sponsor the event. She anticipated meeting like-minded people and propelling our progressive narrative forward. Attendees soon took their seats in the theater, appreciative of the warmth after the cool evening outside. 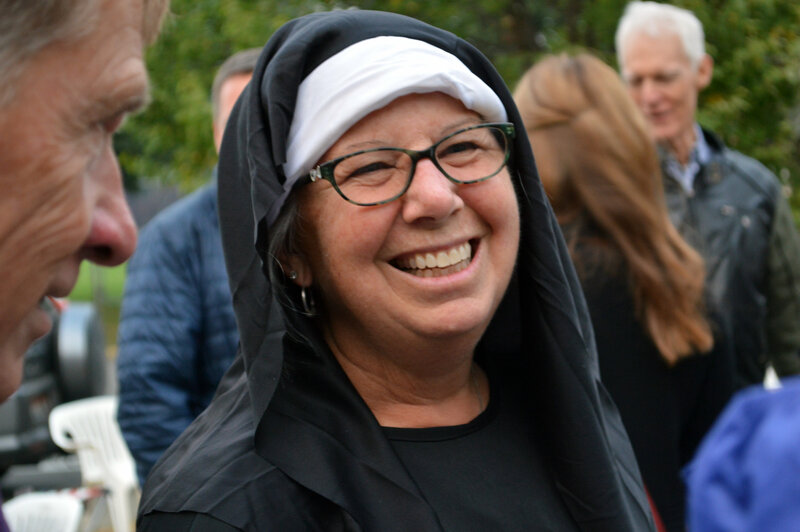 Sister Act was lively, thought-provoking, and humorous, a perfect fit for the crowd of Kootenai County Democrats. The cast sang and acted their hearts out for the appreciative audience. Special thanks go out to the generous sponsors: Kris McIlvenna, Greenbriar Inn Catering and Lodging; Cory Alexander, M.D. ; Justin StormoGipson, M.D., North Idaho Eye Institute; Jonah Namson, Post Falls Volkswagen; and Denny Davis, Witherspoon/Kelley. 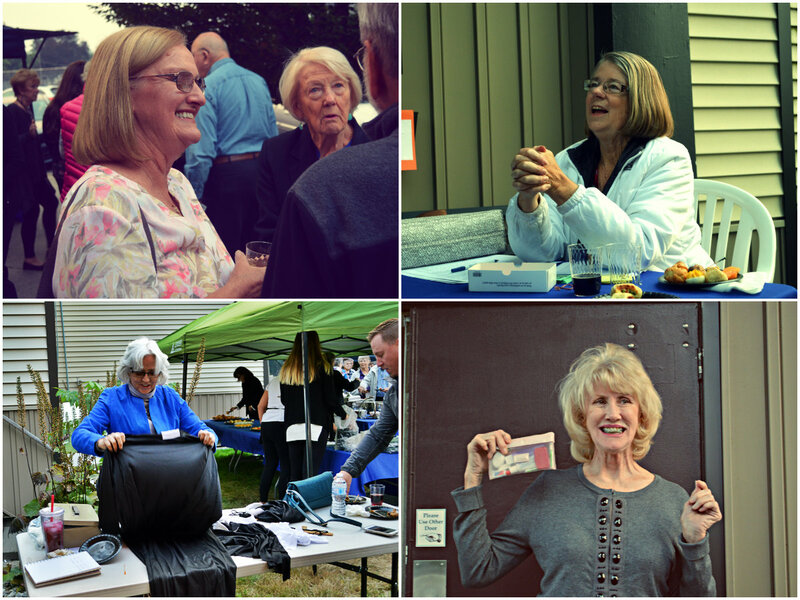 Theater Night Committee members who also deserve special thanks were Bev Moss, Chair; Roberta Larsen, Adela Sussman, Nancy Flagan, Carla Sinclair, Gale Stromberg, Kristi Milan, and Kristy Johnson. 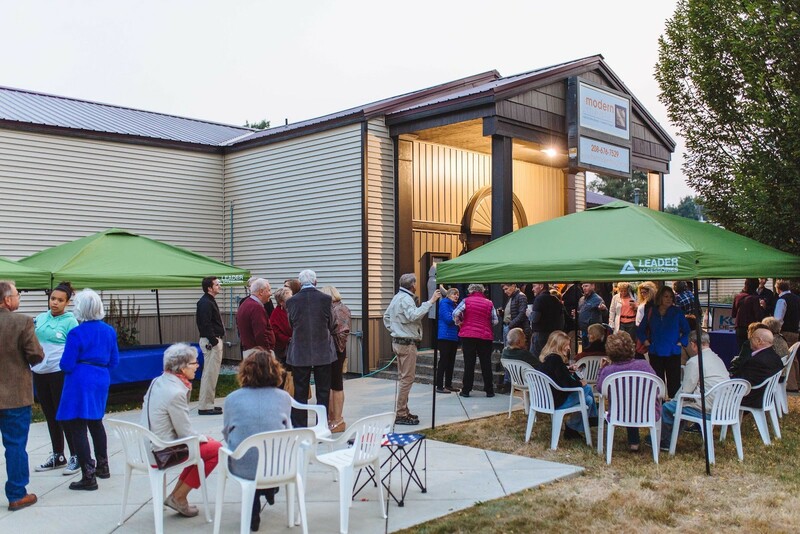 Thanks also go to the cast of Sister Act and the management of Lake City Playhouse who worked so cooperatively with the Kootenai County Democrats to craft another successful Democratic fundraiser and enjoyable evening of live entertainment. It was a fun night and so good to be with fellow Democrats. Nice article and photos. Every one, thanks for all your hard work!